On Top Of Spaghetti… στα Ελληνικα! ~ …All covered in cheese! Let me start by saying that I’m not really happy with the photos in this post. But I’ve decided to go ahead with it, because it was my biggest dinner party yet and the dishes were actually very tasty and therefore blogworthy. Thanksgiving is not a holiday in Greece. However, since my main reading material is food blogs from the US, I got caught up in the excitement and all round frenzy that leads up to this big holiday across the pond. So I thought it would be fun to throw a dinner party and invite friends over for some traditional American Thanksgiving yumminess. I started planning the menu the previous Saturday, and spent quite a few hours in the kitchen that week preparing my feast. Thursday was a regular working day for all of us, so Friday was going to be our Greek Thanksgiving. Many of my dishes were made following recipes from various blogs. I’m not going to share all of them here, as it would take about a week to write them up, and since I didn’t really make any changes I’ll just link to each accordingly. So here goes! My starters were really just nibbles, laid out when the first guests arrived. *Cherry tomato and mozzarella ball kebabs with homemade oregano pesto with feta (pictured). *Alton Brown’s Spinach and Artichoke Dip served with nachos and crackers (pictured). I used tinned artichoke and it worked fine. As I was adding the finishing touches to all the main course dishes and feeling quite smug at how perfect my timing had been for everything, my friend was exploring my well stocked fridge for a drink. Suddenly she exclaimed “Ooh what are these?” My reply was also an exclamation which I will not repeat here in case children are reading… “These” were my stuffing patties which I had forgotten to put in the oven with the potatoes. Thankfully the roasties were only half-done, so in went the stuffing to join them and the crisis was averted. Anyway, let me tell you more about the mains. Of course. But, as I’m not that confident yet, I decided against roasting a whole bird. The perfect solution was to make a turkey breast in the slow cooker. Have you ever tried that? If not you have to. It is the perfect way to make turkey breast as it stays moist. It’s also fantastic to be able to stick it in the Crock-Pot in the morning and forget about it till it’s time to go on the table. Oh and the gravy it produces? Mm. 1. Peel the onion and halve it. Wash the leek well (greens bits too) and cut into three or four pieces. Arrange onion and leek in the bottom of the slow cooker. 2. Rinse the turkey breast and pat dry with kitchen paper. Rub it with salt, pepper and 1 teaspoon of tarragon and place it on top of the veg in the slow cooker. 3. Pour the chicken stock over it, watch the tarragon get washed away, and then sprinkle the 2nd teaspoon of tarragon on top of the meat. 4. Plonk the butter on top (no need to melt it). 5. Pop the lid on and cook on low for 8 hours. Note: Omit the butter and you’ve got yourself a Dukan Diet friendly turkey recipe. To make the gravy, when the 8 hours are up lift the meat out of the slow cooker and transfer the drippings to a small saucepan. Discard the veg. Put the turkey back in the slow cooker to stay warm. Boil the liquid till it reduces and becomes more saucy. Add some gravy granules (if you like) and continue to boil till it reaches the consistency you want. It might take a while to thicken so if you want, use some cornflower to speed things up (you know the drill, mix cornflower with cold water first to make a slurry, then add to the hot liquid while off the hob. Return to the heat and stir till it thickens). 1. Cook onions gently over medium heat in a frying pan with some water. The water is just so the onion doesn’t stick, you only need about 2-3 tablespoons. Cook, stirring frequently, till onion starts to soften. 2. Add the margarine to the pan and continue cooking till onion is translucent. 3. In the meantime, in a large bowl, mix breadcrumbs with sage and salt and pepper. 4. Transfer onion (with pan liquids) to the bowl and mix well. It should come together into a fairly pliable mixture (like minced meat when you make burgers). At this point you can taste a bit to see if it needs seasoning. You might want to add a bit more sage, but keep in mind the flavour strengthens slightly while cooking. 5. Take about 2 tablespoons of mixture and form into a patty (a slightly flattened meatball, not as flat as a burger). Continue with the rest of the bread mixture. 6. Bake in the oven with the potatoes. Keep them on one side so you can cover them with tin foil if they brown too quickly. Roast potatoes. I boil them first, for about 8-10 minutes, then put them on a baking tray with a few tablespoons of olive oil, mix them so they’re all coated in oil, sprinkle with salt, pepper and a bit of paprika, and roast in a 200C oven for about 50’ to an hour. This makes them crispy on the outside and soft on the inside. Sweet Potato Casserole. Yum. I used this recipe by CBSOP and of course baked the potatoes in the slow cooker the night before so they were ready to go in the casserole the next morning. Green Beans with Tahini-Lemon Dressing. A wonderful side dish with a very light dressing, great to accompany “heavier” flavours such as stuffing and sweet potatoes. Recipe by Kalyn’s Kitchen. Lentil Salad with Roast Beets and Almonds. Not quite traditional but very tasty! I love roast beetroot and it keeps well. Recipe by The Stone Soup. This would also be great with some crumbled feta on top. Beer Bread with Cheddar and Rosemary. I based this on the recipe by Bake at 350, but used Newcastle Brown Ale instead of lager and cheddar instead of gruyere. I also skipped the melted butter to keep things lighter, but will definitely try it next time! For dessert I made these pumpkin-y brownies by Picky Palate, but because I thought they would be a flop, I also threw together an apple crisp (in record time may I add) just in case. The brownies weren’t a complete flop, but they weren’t as good as I’d hoped. I should have listened to my instinct while making them, because I had a feeling the chocolate I used was way too much for the one cup of flour. I don’t use chocolate chips as they cost twice as much, I just chop my own chocolate, and this might have been the reason the recipe didn’t work. There was definitely too much chocolate in there (yes, that is possible!). For the Apple Crisp I put two apples (peeled, cored and chopped) into a pie dish, and topped it with the mixture of oats, flour, butter and brown sugar that Jessica from How Sweet It Is uses in this recipe. It’s really good! Especially with cream. But then everything is good with cream. The other day I was really stuck for ideas on what to make for dinner. 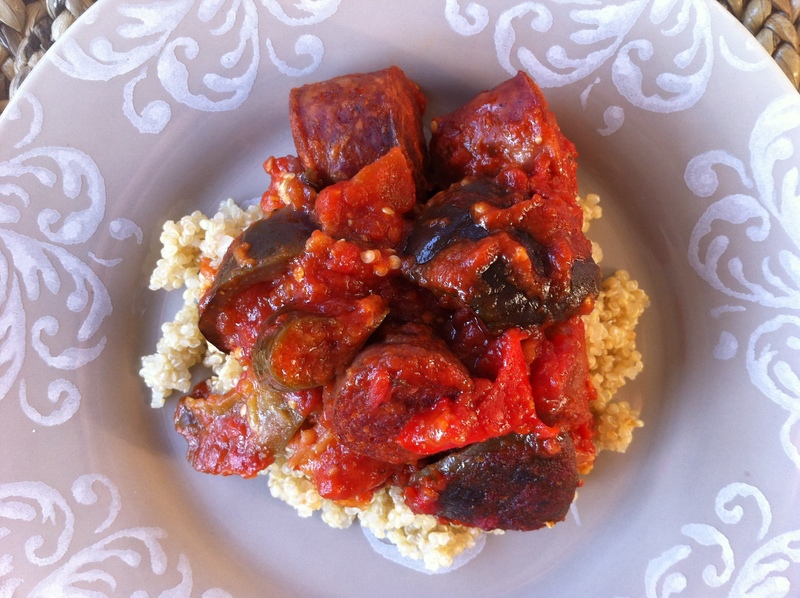 I had some lovely aubergines (eggplant) in the fridge, from a friend’s garden, and really wanted to use them up. Then I remembered I also had red peppers, definitely on their last legs, so I wanted to combine the two. And then I had a light-bulb moment. I’m saying this because I rarely have light-bulb moments. Most of the time I have great ideas on what I should have made, after I’ve made something else. This results in an overflowing fridge and freezer, since the great ingredients I keep in there usually present themselves to me when it’s too late. This time, it was a genuine case of Eureka when I thought of the turkey sausages I’d just brought back from my mum’s where they were on holiday. Yes, all the contents of my fridge/freezer (well, the lucky ones anyway) took a recent vacation to my mum’s due to freezer problems I’ve mentioned in the past (too many times). So, yes, happy days. I had sausages, I had lovely veg, and I had tinned tomatoes. Into the slow cooker they all went. The sausages were frozen but by the time I’d prepped the rest of the ingredients they were just thawed enough to slice into thick chunks (it’s summer in Greece, nothing stays frozen for long on the counter top). And to give credit where credit is due, I used this recipe for Mediterranean Eggplant Salad by Apron Strings as my base. Yum! Threw it all in with seasonings etc and voila! Heavenly smells served to create a huge appetite for a very tasty dinner. I was on a carbs-allowed-for-one-meal day of the Dukan Diet, and I was very good and made quinoa instead of pasta. As there was a lot left over, The Mister got to try some the next day. (That sounded weird didn’t it? No he doesn’t only eat leftovers! He was away the first day. Glad we cleared that up before he reads this). This meal was quite interesting, because I combined it with white fish cooked in the frying pan with some low cal spray. Yes, it sounds weird eating turkey sausage with fish, but hey, you do what you gotta do when you’re eating the Dukan way. And it was actually very nice. Don’t ask what type of fish Ok I just looked it up on Google, and it seems that this fish (Glafkos in Greek) is in fact Blue Shark!! Wow, we had shark for dinner. Cool. I’m updating this post today so I can enter it into the Recipes for Life blogger challenge over on Bangers & Mash. Vanesther is hosting this challenge for a charity organisation called SWALLOW, which supports adults with learning disabilities to lead more independent lives. I’m so happy to be posting something for such a good cause! 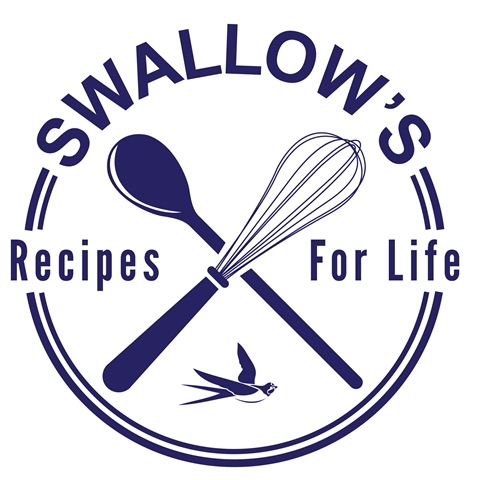 SWALLOW organises cookery classes helping members learn to prepare simple, inexpensive and nutritious meals. I chose this recipe for two reasons. One, the ingredients are right, and two, when it comes to simple, inexpensive and nutritious you can’t go wrong with a slow cooker. For extra simplicity and lower cost, serve with rice or pasta. Also, ignore the onion flakes and use a proper onion – that was either me being very lazy or me being out of onions. Chop it up and add with everything else. Enjoy! Chuck it all in the slow cooker. Stir as best you can. Cook on high for about 5 hours, or on low for I imagine about 8 hours. I took the high option as I started late! It might be less on high if your sausages are fully thawed. Enjoy with quinoa, cous cous, rice, or SHARK! You know the name of my blog, On Top of Spaghetti, right? It’s from the children’s song where a poor meatball falls off a plate of spaghetti and rolls away to a terrifying, squishy death. My first post was a recipe for meatballs in tomato sauce, and I’ve just realised that it’s now 6 months since I started this blog. 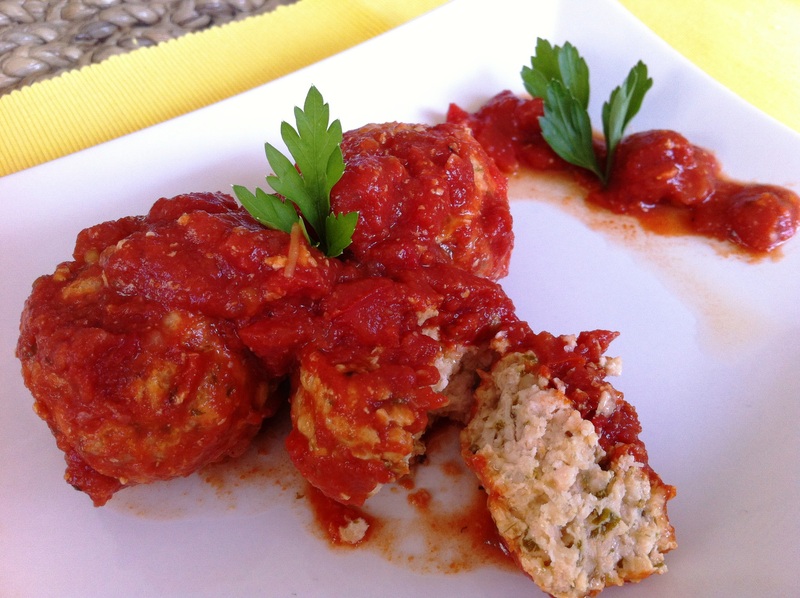 So for our first half-birthday it seems appropriate to post another tomato meatball recipe! This time it’s a Dukan Diet friendly version, made with turkey minced meat. Now, the “almost” included in the title is because this is fine for the Consolidation phase (last phase) but it’s a tiny bit naughty if you’re still on the Cruise phase. For those who aren’t familiar with this jargon, on the Cruise phase dieters can enjoy days of lean meat and non-fat dairy (pure protein) and vegetables, alternating with days of just pure protein. After moving on to the Consolidation phase they can have some additional treats like two slices of brown bread, a piece of cheese and a piece of fruit each day. There’s a lot more to the diet than this description, but I won’t bore you with it. If anyone is interested in details please feel free to email me. So, the ingredient that makes these Consolidation friendly only, is a teensy bit of parmesan. However, it’s such a small amount… let’s just say I won’t judge if you’re feeling rebellious! The great thing about this recipe (apart from its tastiness) is that it’s made in the slow cooker, so it won’t send your home’s temperature through the roof. And you don’t have to brown the meatballs first! You can just plop them in and forget them till dinner time. Giving you enough time to go out in search of a beach. My inspiration for these meatballs came from Gina over at Skinnytaste; I tried her Crock Pot Italian Turkey Meatballs a while ago and really loved them. This time I switched the breadcrumbs with oat bran, which is a daily Dukan requirement, and changed the sauce and seasonings a bit according to what I had in my cupboard. They turned out really great, and The Mister ate them up happily too (always a good sign). Add all the meatball ingredients to a large bowl. Mix with your hands until incorporated, but don’t over mix. Form small meatballs with your hands, being careful not to pack them very densely so they don’t toughen up (great advice from Gina). Put aside while you prep the slow cooker. Pour the passata into the slow cooker, add the tomatoes and the rest of the sauce ingredients. Mix with a spoon. Gently place the meatballs into the sauce. It doesn’t matter if you have to stack them a bit, or if the top ones are not submerged. When they start cooking and firm up slightly you can mix them around so the ones on top can spend some time in the sauce! Cook on low for 4 to 6 hours. Check for doneness with a food thermometer or by cutting into a meatball and checking there’s no pinkness. Note: Gina has a stovetop version as well, in case for some unfathomable reason you don’t own a slow cooker! 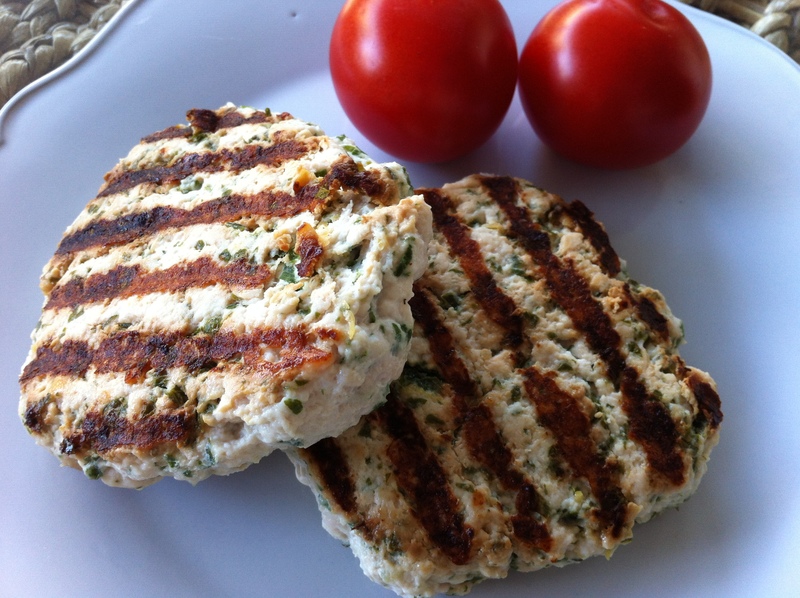 Turkey Burgers – Dukan. Again. As you probably guessed from my inspired title, I’m getting a bit fed up with this whole diet thing. I can definitely see why most people give up during the Consolidation phase. It’s boring. Really boring. And looong. The worst part is that it’s still a diet but without the excitement of actually losing weight. Instead, the scales are disheartening as your body is retaining water and fighting hard to stock up its depleted reserves of fat, following the attack it underwent during the previous phases. But I’m sticking to it! It’s such a great workout for my willpower. Yesterday I made a Nutella Cheesecake for a friend’s BBQ without taste testing once! Luckily, there are still some recipes that can cause some excitement during this period of kitchen boredom. In my last post I shared a recipe from The Perfect Pantry and mentioned that many of Lydia’s recipes are easily adaptable to the Dukan Diet. Well, this one doesn’t even need to be adapted. Everything in it is allowed in all phases. Turkey Burgers! Another healthy, tasty, non-fattening meal which you can literally throw together in minutes and stick on the grill. A great alternative to beef burgers if you’re cutting down on red meat or just want something lighter. The first day I ate these with salad only, no sauces or anything. They are so juicy they don’t really need anything extra. For my leftovers however I made a quick yogurt sauce with curry, which unfortunately I forgot to take a photo of. Sorry! Lydia makes a yummy looking yogurt and feta sauce for these. Go over and check it out, if you’re not on the Dukan! Throw all the ingredients in a large bowl. Mix with your hands, just until evenly incorporated. Don’t over mix. Make four burgers. Let them rest while you heat the grill. Spray grill with low fat cooking spray and heat to medium high. Place burgers on the grill and leave for about 7 minutes. Turn them over and continue grilling for another 5 minutes. Cooking time might depend on the thickness of the burgers so keep an eye on them. Lydia suggests using a food thermometer which should read about 165F when they are done. This is a great idea, and saves you from having to cut into one of the burgers to see the colour! Enjoy with salad or on a bun. Mix curry powder with water to form a smooth paste. Mix paste into the yogurt. Dollop over turkey or chicken burgers (or any turkey or chicken). Click to follow me and get all my new posts delivered to your inbox! Baked Fish in Lemon Mustard Sauce – Healthy, Easy, Quick and Tasty!